Like many of our Adult Nursing students, Sophie Kemp has long harboured the ambition to become a nurse. “Growing up, I had experiences of family members in hospital for long periods of time, and it really inspired me to become a nurse myself,” she says. 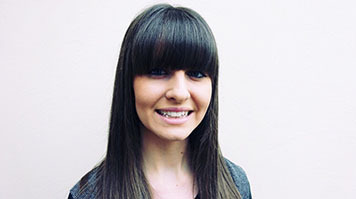 After attending an Open Day at LSBU, Sophie knew she had found the right university for her. Everyone was so friendly, and I could see myself doing well and enjoying studying here. Sophie credits her placement experiences with growing her confidence and providing the ideal setting to develop her skills. When I first started I was nervous going into different situations but now after all my placements my confidence has greatly improved and I am confident in my ability as a nurse. Sophie is especially looking forward to her elective placement, where students can plan and organise their own placement. “I’m going to a fertility clinic at Barts, which will be an amazing new experience for me, and one I am looking forward to,” she says. Sophie found the support she received from staff at LSBU to be another of the highlights of studying here.